Introducing colour into the home is any architect’s dream. 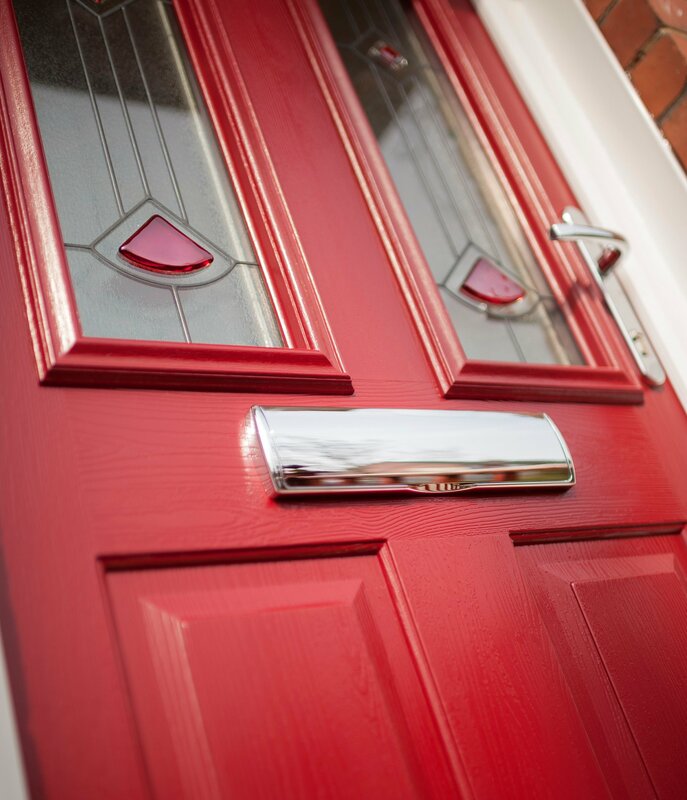 Colour is a clever way to send a message about your personality, and as entrance doors set the tone for the rest of your home, choosing a coloured front door can be a powerful way to create fantastic kerb appeal. While there are a multitude of different colours to choose from, it’s easy to revert back to the traditional favourites: white, red, green or blue. 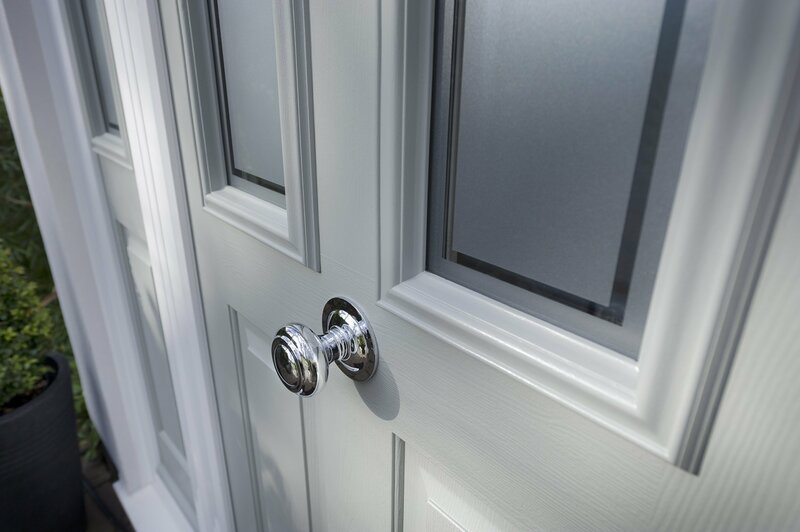 Our two ranges of composite entrance doors, Solidor doors and Bowalker composite doors, feature a selection of stunning colours, from classic to contemporary, pretty to powerful and striking to stylish. 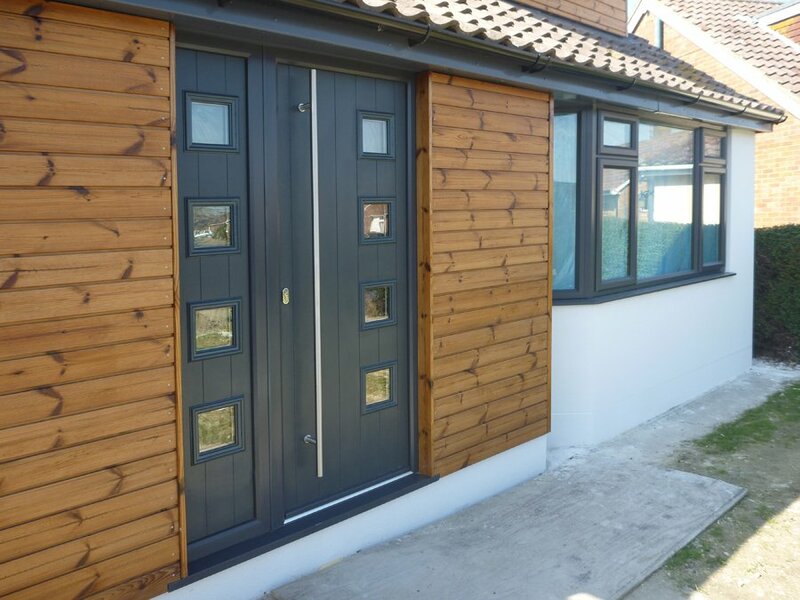 A lot of the homes we work on in Hove want a door that adds exciting colour to their property and makes an entrance no one will forget, which is why we have more than 30 door colours to choose from. We’ve put together a guide to help you decide which colour would be best for you. If you’d like to reflect your bold and bright personality on your front door, statement shades such as Peacock Blue, Berry Red, Rich Aubergine and French Blue are ideal. They add an eye-catching pop of colour immediately to anyone who passes by, and will make your home stand out on your street, telling the world that someone full of life lives here. This is perfect if you love to entertain in your home. It also sets the tone of your interior, which is great if your home is full of exuberant colours and décor. Perhaps you’re more of a classic soul? If you love the traditional things in life, a timeless entrance door will be the best fit for you. A lot of the composite entrance doors in Hove are in a time-honoured style, as it’s what suits most homes. Colours like Chartwell Green, Red, Gothic Black, Derwent Blue and Heritage Green will last the test of time and show people that you value the eternal beauty of things. Classic shades such as these also complement any style of décor and external finishes, from traditional brick to a modern render. Is your home the family meeting point, where you often host the Sunday roasts and welcome your family and friends? To reflect the inviting nature of your family home, warm and natural door colours, such as Golden Oak, Irish Oak, Golden Sand, Walnut, Rosewood and Cream, are the perfect choice. 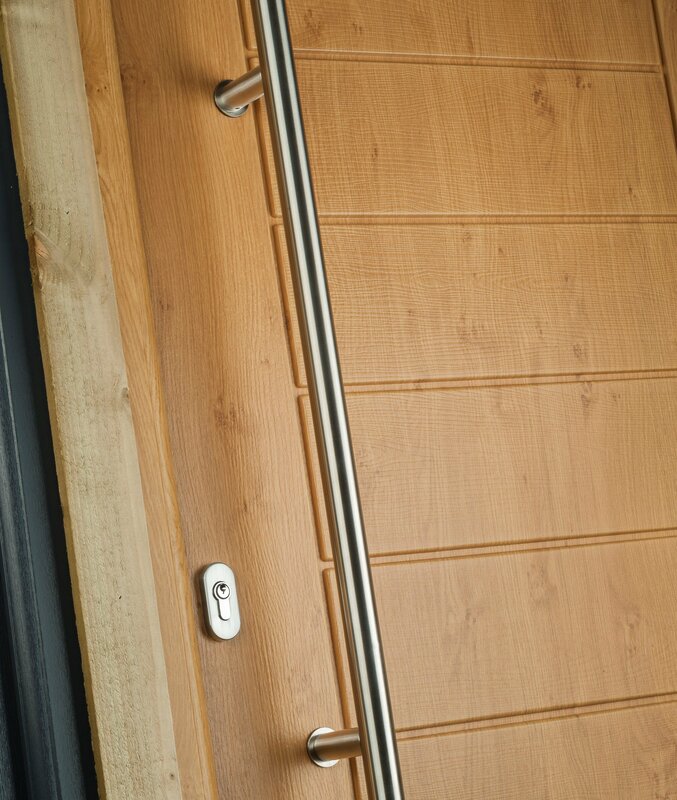 Woodgrain colour options are a great alternative to timber front doors to reflect a soft yet strong personality, complementing French Country, authentic interiors. 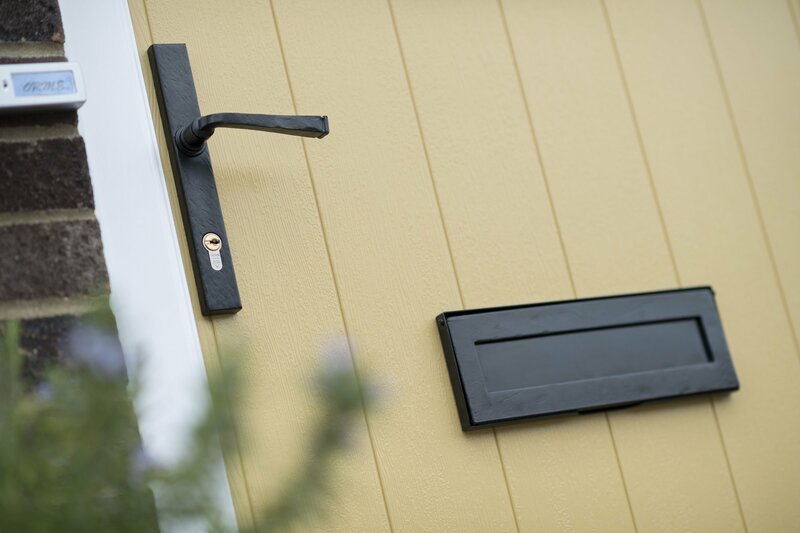 If you prefer the minimalist aesthetic, simple and stylish door colours are the best option. Light colours such as Painswick and White, and dark shades like Schwarzbraun and Gothic Black, add clean, crisp style in a subtle yet sophisticated way. This is ideal if you like white spaces or black accents to introduce colour. Are you a trend-setter? Do you want your home to look modern and ahead of the time? Right now, the contemporary colour of choice for style-conscious homeowners is grey. We’ve started to install lots of entrance doors in Hove in grey as using this colour adds chic style, with the top home improvement colour being Anthracite Grey. 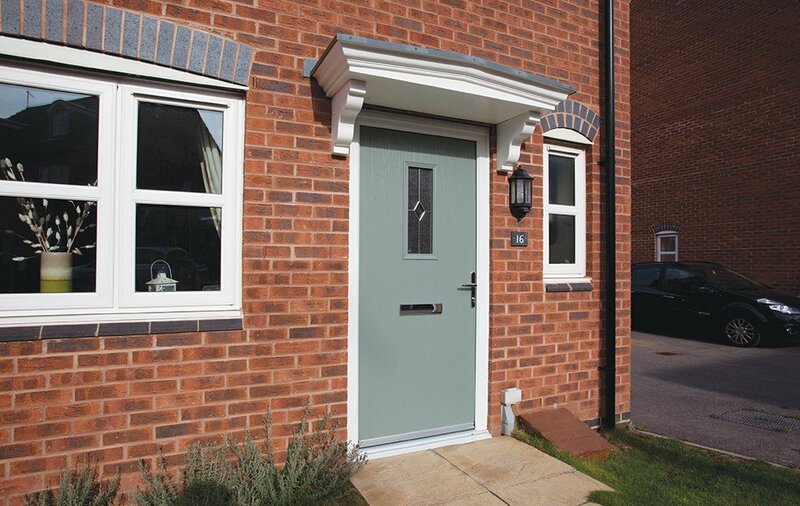 We also have composite doors in Slate Grey, Moondust Grey, Twilight Grey and French Grey. Choose any for your own individual spin. Matching your grey entrance door with grey aluminium windows and widespan doors, such as bifold doors and sliding doors, completes the contemporary look, and perfectly complements both minimalist and glamorous interiors. Perhaps your home is your retreat from the outside world. The calm that protects you from the storm that the outside world brings. 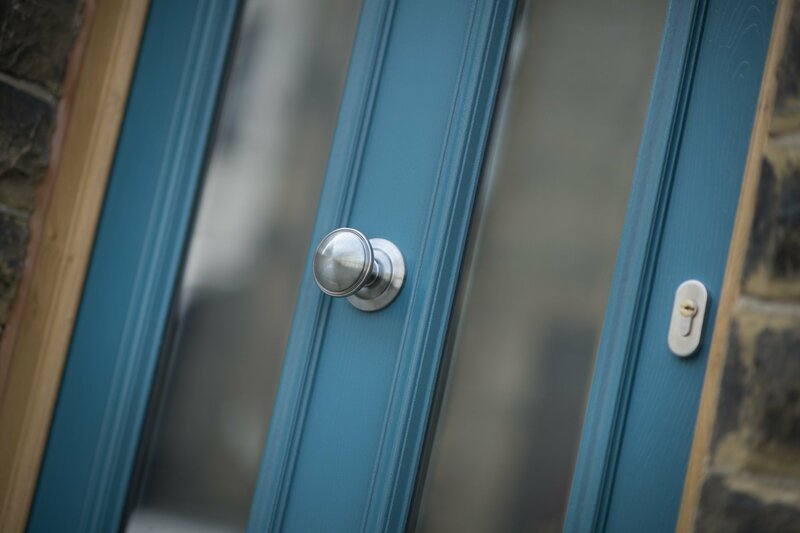 If, when you pull up outside your house, walk up your drive and see your front door, you want to feel a sense of serenity, then choosing a soothing coloured door is ideal. Pastel colours such as Lavender, Duck Egg Blue, Coolant Blue, Chartwell Green, Frost White and Eurocell Cream are tranquil shades that will indicate that your home is a peaceful and happy place. 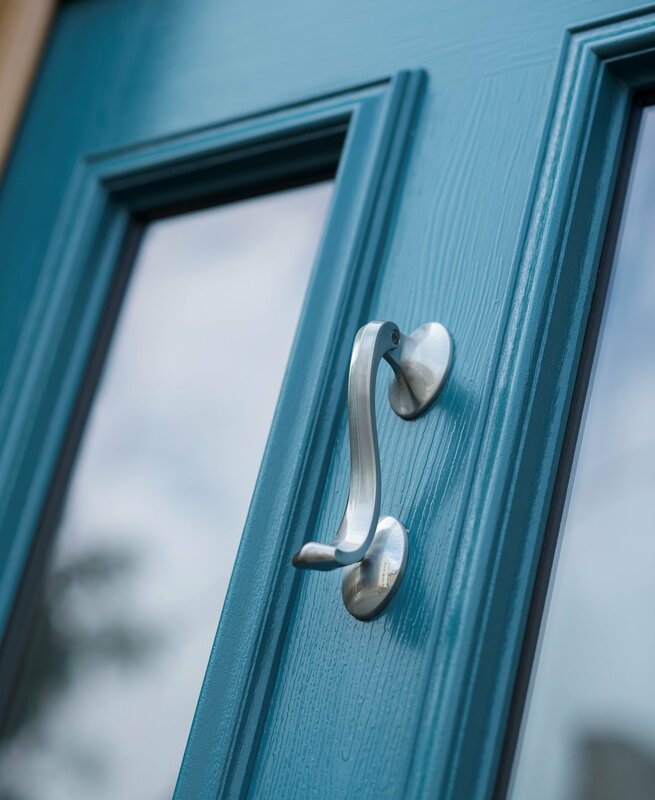 We know how important it is to have an entrance door in Hove that reflects your style, which is why we offer more than 30 door colours to suit your needs. If you’d like more help on how to add colour to your home with a new entrance door, get in touch with our team of experts. We’ve been transforming homes across Sussex for 10 years, and we’re known for giving homeowners and architects the best advice on their projects. You can visit our showroom in Haywards Heath, upload your plans and ideas to our website, or get in contact with us by ringing 01444 810111 or emailing info@bowalkerwindows.co.uk.